Elections Commission has announced the locations where the ballot boxes will be placed for the Presidential Election this September. 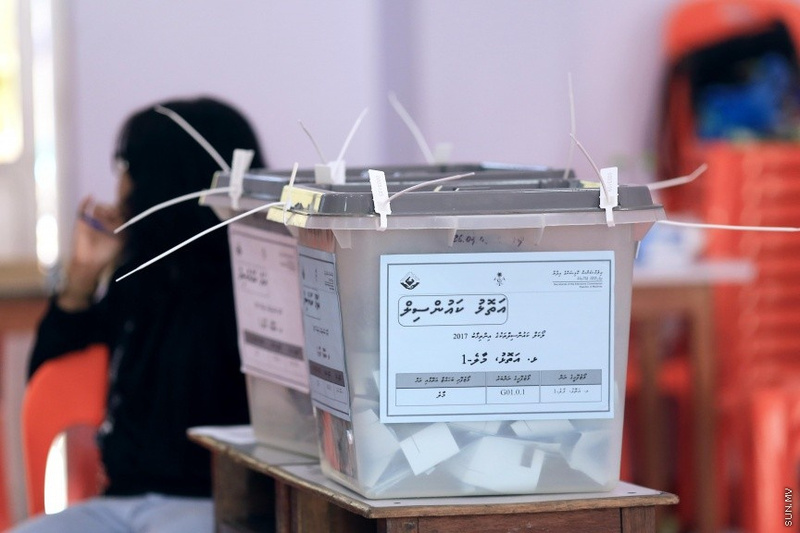 According to the announcement on the state Gazette, 128 ballot boxes will be placed in Male' City, Hulhumale' and Vilimale'. And boxes are set to be placed in four jails as well. They are Male' jail, Maafushi Prison, Dhoonidhoo Jail and Asseyri Jail. Boxes will be placed on industrial islands including Thilafushi, Kooddu, Gan, Hulhule', Felivaru and Kahdhoo. Abroad, one ballot box will be placed in Trivandrum, India, two boxes in Colombo, Sri Lanka, one box in Kuala Lumpur and one in London, England. Elections Commission said that they would open re-registration for the election next week and the candidate application will be opening on 23 July.